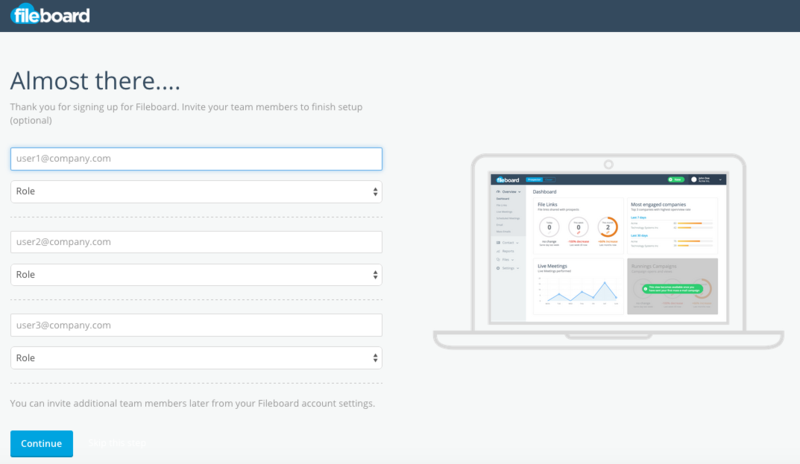 Before you can start using Fileboard you need to create a Fileboard account. 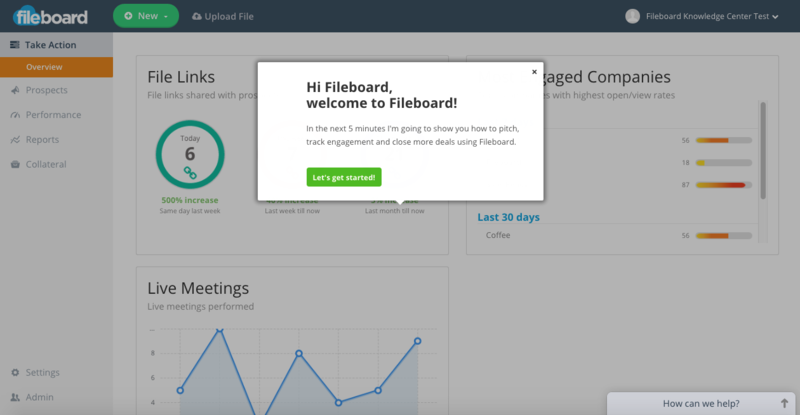 Follow all the steps in this document that will help you with creating your own Fileboard account. Once you have done this you are ready to use all the features of Fileboard. You are now ready to use Fileboard. Follow the tour and enjoy accelerating your sales pipeline!